Most Australians understand that the last 20 years of uninterrupted national economic growth were underpinned by trade with China. China’s demand for raw materials offered unprecedented opportunities for exports of iron ore and coal, while Australians were eager buyers of Chinese-made consumer goods and other products. Perhaps understandably, the good times have led to complacency on policy, particularly in relation to our region and our place in it. Policies of international free trade, benevolent aid and commitment to the American alliance have remained essentially unaltered for over 30 years. Now, however, new circumstances confront Australia’s policymakers. The challenge is usually framed in terms of China’s military ambitions and what these may mean for Australian interests. In fact, the issues that are being raised go deeper. The Chinese leadership is unafraid to think strategically, using that term to mean projecting and promoting national power into the future. President Xi Jinping leaves no doubt as to how this will work. Over the next 30 years, as he proclaimed to the Chinese Communist Party’s national congress in October 2017, China will become a truly global power, which can “stand tall” in the world, based on its command of science, technology and innovation, and guided by “socialism with Chinese characteristics”. There are detailed means to support the rhetorical ends. 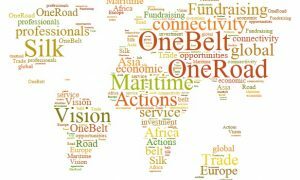 China’s strategic vision includes its ambitious “belt and road” initiative, which involves investing in infrastructure in developing countries ranging from Asia and Africa to the Pacific. China’s growing influence has not gone unnoticed by the Turnbull government. Legislation has been introduced to Parliament to counter efforts by foreign states or their agents to influence Australia’s political system. The government announced recently it would fund a submarine cable from the Solomons to Australia, countering a proposed deal between the Solomons government and Chinese telco Huawei. Huawei may be barred from contracting to build Australia’s 5G wireless communications network. But these are reactive rather than proactive policies. We know what China’s strategy is. What is our own? Where do Australia’s political leaders see our country in 30 years’ time? While the din from Canberra relating to the domestic political contest is unremitting, there is an eerie silence when it comes to defining national directions, or even thinking about them. There are several reasons for this reticence. Australia is already a rich country, and it seems unnecessary and perhaps somewhat boastful to be talking publicly about the basis for future prosperity. In any case, articulating futures is definitely not our thing. We don’t go in for planning very much, preferring to leave the shape of our economy to a combination of market forces and political expediency. It’s a real question, though, as to whether this kind of laissez faire is good enough when relating to a strategic-thinking nation such as China. We see the dilemma most obviously in relation to our immediate region, Papua New Guinea and the Pacific nations. China busies itself with infrastructure projects funded by concessional loans. Australia, by contrast, supports recipient governments and organisations through aid programs addressing a wide range of objectives, most notably the improvement of governance, education and health. These are worthy endeavours, even if the results are often disappointing. While many of these projects utilise Australian strengths, the idea that Australia might do well by doing good is deliberately eschewed. Tenders are open on an equal basis to contractors from anywhere in the world. China’s approach, by contrast, seems self-serving (because only Chinese firms are used) and potentially (where loans cannot be repaid) detrimental to the recipient countries’ long-term interests. So it has come as something of a surprise that Australia’s moral high ground is not particularly attractive to many developing countries’ governments. Indeed, if there is a contest between two different ways of doing things, Australia’s appears to be losing out. Chinese investment in PNG is well below Australia’s but is growing rapidly. 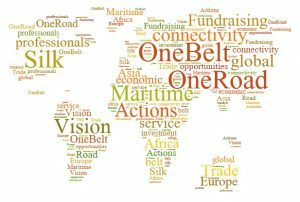 PNG Prime Minister Peter O’Neill’s government recently signed on to the belt and road initiative, as has East Timor. These choices may seem unwise. But consider the issue from a PNG perspective. China’s willingness to invest directly in roads, ports and telecommunications looks like a vote of confidence in the country’s future. By contrast, as one PNG businessman put it, Australia seems to regard his country’s social and economic prospects as fairly dismal. “The Australians keep complaining – the Chinese are taking over,” he reportedly said. His response? “Well look, fellas, the pitch was yours and you left it.” Even our Kiwi cousins are widely acknowledged as being more effective, and more pragmatic, actors in the region than is Australia. No one is arguing we should abandon principled aid. But there is a dimension in China’s approach that is little understood in Australia and from which we should be prepared to learn. China is rightly proud of its rapid industrialisation and modernisation. As a strategic country, it has used its market power to extract technology and build a formidable industrial base. Its methods have not been dissimilar to those of Japan, South Korea and Taiwan, and indeed of every nation (including the United States) that has successfully developed its economy since the 19th century. It is ironic that, while benefiting economically from these approaches, Australia’s policy elites have given short shrift to the ideas on which they are based. The resulting neglect of the industrial sector has meant that manufacturing and agriculture have substantially “hollowed out” over the past 30 years. Science, technology and innovation, while praised in rhetorical terms, struggle to develop beyond the university sector and an endless churn of high-tech start-ups. Successive governments have believed that, provided we have “jobs ‘n growth”, none of this matters much. But it does matter when it comes to the nation’s ability to interact with countries in our region. Telstra, which might have played a leading role in telecommunications provision, has struggled to maintain its position since privatisation. While there are plenty of Australian construction firms, the idea that Australian companies, supported by the Australian government, might build infrastructure projects in the region and at least give the Chinese some competition is never likely to be an idea in good currency. In recent times, the lucky country has enjoyed unprecedented good fortune. Let’s hope we go on being lucky. But the world is changing around us and habits of thought that worked well up until now need, at the very least, some questioning. We don’t have the agency of a great power, but to rely on reactive responses to the actions of others does not seem right, either. A more confident, genuinely forward-looking regional outlook is needed. Aligning Australian aid more clearly with the potential of Australian firms, as well as those in countries we seek to help, would be a good place to start.